Loehmann’s, the once-great Brooklyn-based department store, closes all their locations for good tomorrow, another causality of the changing economy and people’s changing tastes in shopping. But let’s not dwell on the decline of the department store. Let’s revisit the heyday, shall we? 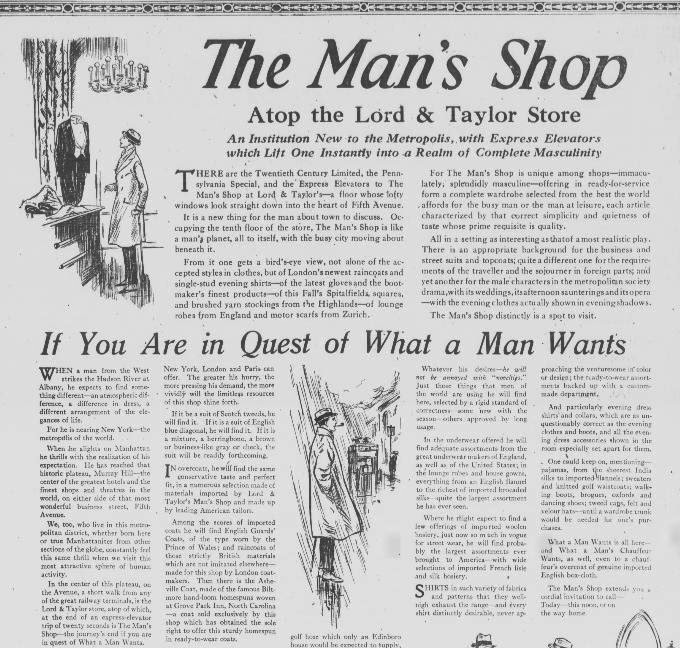 Lord and Taylor Department Store opened the doors to their tony Fifth Avenue address one hundred years ago yesterday, on February 24, 1914. 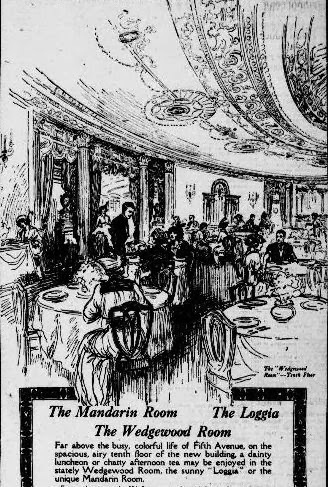 The store traces its lineage to a three-story women’s clothing store on 47 Catherine Street, which was opened in 1826 by Samuel Lord and George Washington Taylor. Nearby, men could find equally fine fashions at the clothier of H & D.H.. Brooks (today Brooks Brothers) at Catherine and Cherry Streets. Catherine Street is hardly a place where you would look for high-end brands today, located between the Manhattan and Brooklyn Bridges. Lord & Taylor had subsequent locations in Manhattan at Broadway and Grand Street and, later, at Broadway and 20th Street on Ladies Mile. 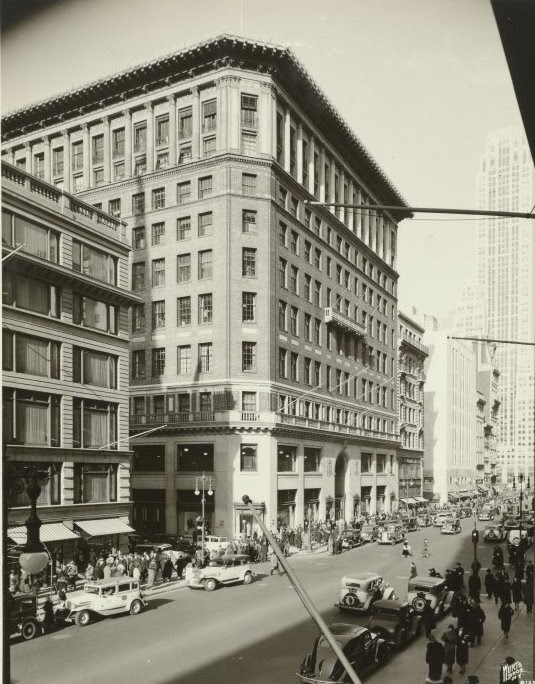 The building is in the go-to architectural style for department stores — Italian Renaissance Revival — and, apparently, the go-to architectural firm for such places, Starrett and Van Vleck, also known for Bloomingdale’s and Saks Fifth Avenue. 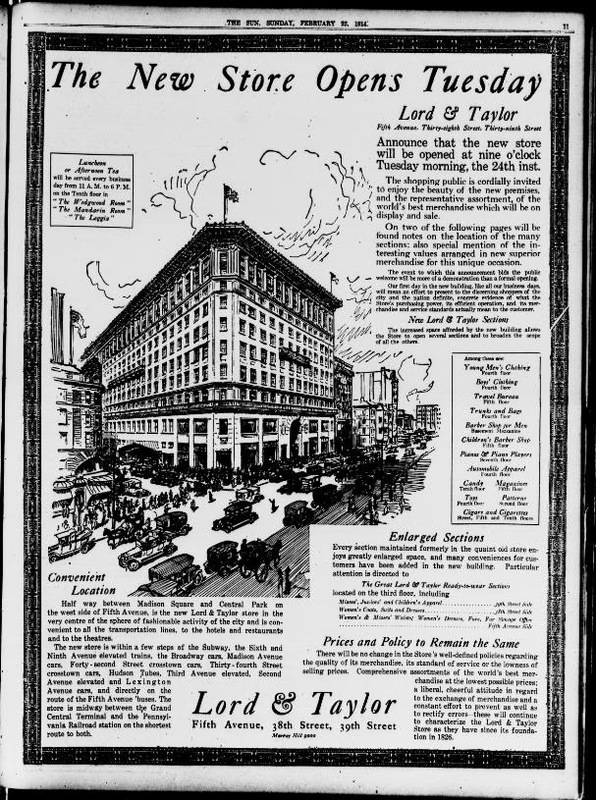 In 2007, the Lord & Taylor building was made an official New York landmark.